HTC has planned an event tomorrow, i.e., on November 2nd where the company is launching its another high-end flagship device for this year, the HTC U11+. We have already seen a lot of leaks that reveal the design and specs of the phones and today; the phone was listed on Belsimpel, an online retailer in Netherlands. 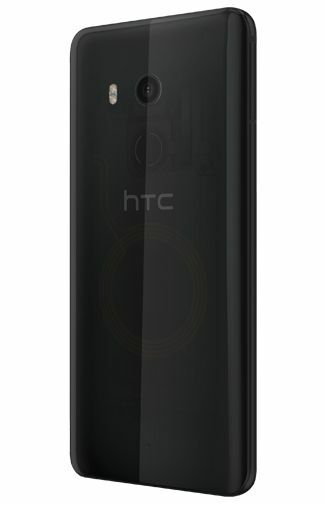 The listing reveals the phone in two different colors – Black and Translucent black. Along with this, the specifications are also mentioned on the site that confirms previously leaked specs. The Translucent Black variant is surely interesting due to its translucent back panel that lets the user see the hardware under the back panel which includes the Wireless charger etc. On the front, the phone has a 6-inch display having an aspect ratio of 18:9 and a resolution of 2880×1440, i.e., a Quad-HD+ display. Gorilla Glass protects the display. The phone is powered by an octa-core Snapdragon 835 processor with 6GB RAM and 128GB internal storage that can be expanded via microSD card. Android Oreo runs out of the box with HTC Sense UI. The price mentioned on the site is €799 which translates to about $930. But, the price is high in Euro due to the taxes so we can expect the pricing to be between $700-800. What do you think of the price and the specifications that the phone offers? Do let us know via the comments section.